A. Duie Pyle Brokerage offers one source of accommodation for all of your diverse truckload capacity needs across the United States and Canada. With close to a century of transportation expertise, combined with an ever-expanding network of the highest quality and most reliable local, regional, and national carriers — Pyle’s Brokerage experts can identify the right caliber carrier, with the right capacity and equipment, at the right time. As the premier LTL carrier in the Northeast, we offer a wide range of distinctive services because we understand our customers have a wide range of business demands. A. Duie Pyle Brokerage is an invaluable service option offering competitive market rates and assurance that your truckload shipments are treated with the same standard and care expected from our best-in-class service. Pyle’s complete customer focus is unmatched in the industry and extends to your brokerage needs. We have access to thousands of carriers for the shipping demands of your business, but more importantly we coordinate with the best quality carriers. All carriers are vetted by our knowledgeable brokerage professionals to help mitigate risk and get your products to their destination intact and on time. 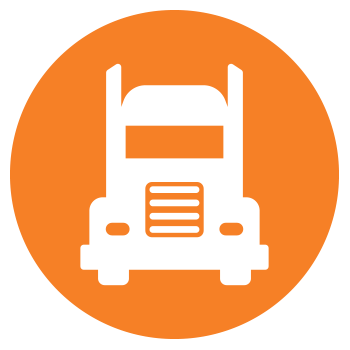 We maintain relationships with proven, reputable carriers ideally suited to your exact shipping specifications, so you can rest assured that your freight is being handled and delivered in a safe and secure manner. Your trust in us as a brokerage solutions provider is never taken for granted. Our uncompromising safety standards and unwavering commitment to providing the highest quality service aspires towards a single objective: the complete satisfaction of all of your shipping needs. The safety and risk management processes of Pyle ensure your freight is never handled by any carrier that has not met or exceeded our stringent integrity requirements. We remain diligently focused on the details of your brokered shipments and proactively resolve any unexpected issues which may emerge in respect to the safe and secure transportation of your freight. By utilizing A. Duie Pyle’s brokerage and integrated services, you partner with a proven industry leader equipped with the strategic resources and expertise required to do the job: no other company is better qualified in handling your shipments and finding you the best quality brokerage solution. The strength and continued growth of our organization is centered upon the integrity and quality of our people and services. We will never compromise on these foundational principles and the same standard is expected of, and extended to, our carriers. This fosters a remarkable level of trust and operational harmony between us and our carrier network, leading to valuable long-term partnerships. The products and transportation needs of your business are varied and our brokerage solutions team is dedicated to finding the exact mode of transportation required for your shipments. Whether it is Van, Flatbed, Refrigerated or Intermodal transportation needed, we will meticulously gather all information pertaining to your shipment, immediately identify what you need and locate a trusted and dependable carrier that is right for you. Our integrated offerings work collectively to help simplify and more efficiently manage your supply chain. Brokerage serves as a perfect accompaniment to our next day LTL network and Custom Dedicated Services. With 2.2 million square feet spread throughout 10 facilities, we can position your products in one of our strategically located Warehouse & Distribution Centers for closer access to your customers or for extra space. Let our Solutions Design team analyze and map out an efficient and cost-effective custom solution for you all under one agreement. Our experienced sales team understands the urgency of your shipping needs and is devoted to finding you the ideal brokerage and capacity solution. Experienced representatives assigned to your account are always available for any of your questions or concerns and remain determined in getting your shipments where they need to be without any errors, missteps or mishaps. Let us help steer you far away from any potential logistical pitfalls by closely monitoring the movement of your freight and communicating with you at every opportunity. The efficiency of TMW’s transportation management software allows us to more comprehensively focus on the exact customized solution you need and opens the door to faster pricing responses. Our flexible systems streamline and simplify a multitude of shipping variables and assist in bypassing any potential impasses which may surface in connection with your freight being picked up and delivered. Seamlessly integrating with Descartes MacroPoint freight tracking technology offers real-time load status and enhanced visibility, promptly providing you with accurate and timely information concerning the movement of your loads with location updates directly from our carriers. To request a Brokerage Quote, log into My Pyle and click on Brokerage Quotes. Fill out this form and one of our Specialists will contact you. Access the A. Duie Pyle Brokerage Management System directly. Need a dependable solution for your next brokerage shipment? Request a brokerage quote from our experienced and responsive team of consultants today.